The 2016 Olympic Games are set to kick off on Fri., Aug. 5, 2016, in Rio de Janeiro, Brazil, with the traditional opening ceremony, with the games officially starting the next day, Saturday. 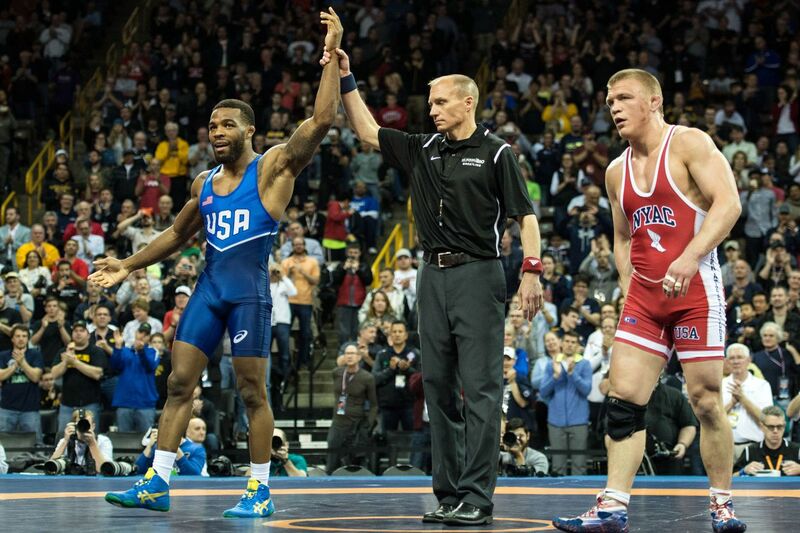 For all you combat sports fans interested in following the USA Wrestling Team’s quest for gold — including Jordan Burroughs’ journey to add another gold medal to his mantle — we got you covered with a detailed schedule of events. Also, 19-year old phenom Kyle Snyder will look to make a splash in his Olympic debut, while Adeline Gray looks to continue her dominant assault as the one of the world’s best female wrestlers. And who knows, maybe the next great mixed martial arts (MMA) star will emerge once the dust settles in Rio to join the likes of Dan Henderson, Sara McMann, and Daniel Cormier, just to name a few, who have enjoyed crossover success. HOT TWEETS: Dominick Cruz Regains UFC Belt; What a Comeback!